JANUARY ORDERS ARE NOW CLOSED. More pork should be available in May. We are taking new orders for our orchard pork. These pure heritage breed Large Black pigs are truly free range, and are finished on our own certified organic apples. Our standard half-a-pig cutup includes dry-cured, nitrate-free, applewood smoked bacon, leg roasts, chops, ribs, mince, rolled shoulder roasts and even extra crackling. We can also do something special if you wish. 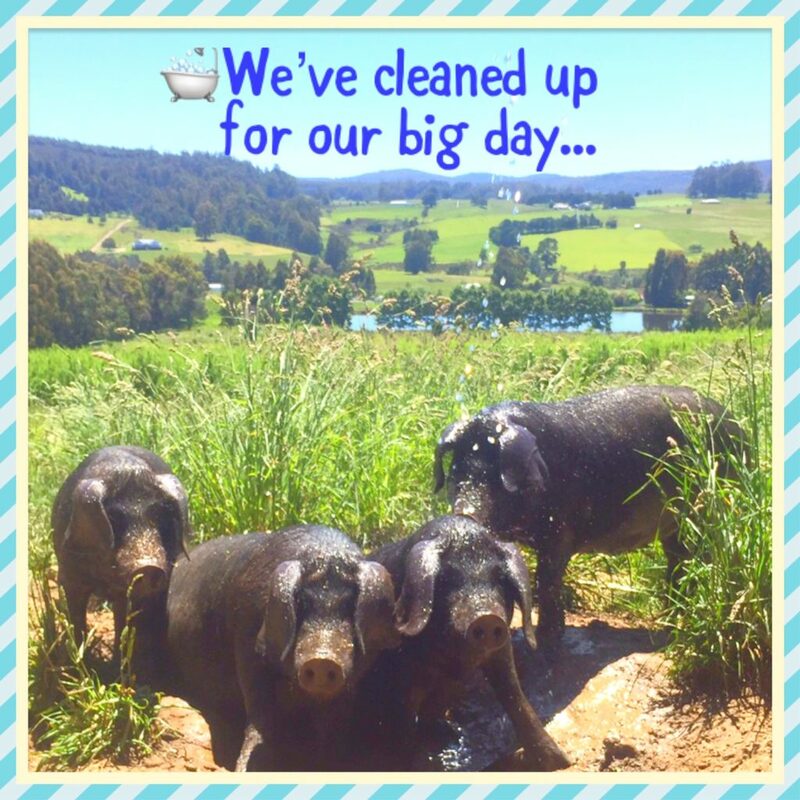 We have 14 pigs ready right now, with expected delivery dates of 8/2, 15/2, 22/2 and 1/3. Head on over to www.ourmatesfarm.com and click on Contact & Orders for more information. 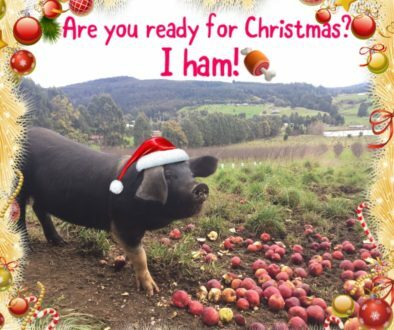 And if you aren’t sure what exactly you get when you buy half a pig, click on the Latest News page for a video where we show you!